When virtual reality (VR) tech first emerged, experts were concerned that its advancement could cause major economic pitfalls for the travel industry. Users could explore snow-capped peaks of the Alps or the Amazonian rain forest without ever leaving their homes. And yes, VR capabilities have grown in leaps and bounds in the last few years. But developers still need to progress much further before we’re all truly swapping our plane tickets for VR headsets. Augmented reality travel, however, is currently changing (and will continue to change) the ways we explore our favorite attractions and those new vacation spots. Before we go any further, make sure you’ve read up on our AR Primer to help you understand the basics of this exciting technology. Augmented reality is already redefining how people interact with service industries and retail sectors. The success in these fields has proved AR’s viability to add value to our frequent, or even daily, experiences. While most folks don’t travel on a regular basis, augmented reality travel integrations are going to become more common tools utilized by savvy businesses and organizations. Right now, pioneering apps like Visit Orlando are bringing augmented experiences to users. Why? It’s important to remember that AR is more than a novelty or gimmick; it builds atop what already exists to provide enticing, informative, or surprising experiences that are wholly new. AR does not compete against the authentic experiences today’s tourists want, but enhances them. If embraced, experts see AR becoming a boon – instead of a bust – to local, regional, national, and even international destinations. Augmented reality travel is an inevitable part of the tourism industry’s future. It will alter how tourists, business people, and families plan their trips, get to their destinations, and engage with hotels, restaurants, and other points of interest once they arrive. We’ve compiled trends and ideas on how AR will continue to shape the world of tourism & travel, including examples you can download and interact with today. The ability to provide information instantaneously is perhaps the most useful facet of augmented reality travel. 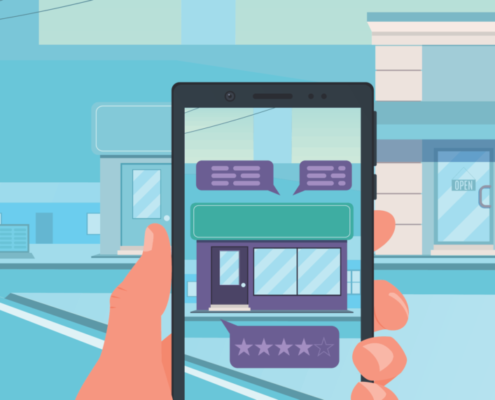 Hotels, inns, and even rental properties have turned toward AR to deliver reviews, recommendations, and other useful bits of info directly onto visitors’ smartphones. Plane Finder AR, which you can see an example of below, offers a glimpse of a current AR application using map-based formatting. Sightseeing no longer needs to be static. And you will rely less on tour guides in a future with augmented reality travel. Imagine creating a tour on the fly with heads-up directions to guide you around a location’s best places to visit, eat, and shop. You will be able to craft your own personalized experience on the fly using AR-enabled waypoints. Travel and tourism will increasingly become linked to AR integration as tech capabilities progress. The museum of tomorrow is built today. Leading curators and exhibition experts are utilizing the digital realm more than ever. Due to this movement to electronic media, there are increasing opportunities to produce augmented reality experiences that can bring data to life & entertain and inform audiences. In the video below, you can see how the Smithsonian National History Museum in Washington, D.C. is embracing AR. Augmented reality shares a strong linkage to entertainment. The most popular AR applications have been games. That’s because audiences respond strongly when AR introduces a state of play into an otherwise mundane experience. Stores, airports, and other places along travelers’ routes can gain much from gamifying parts of their routine. So, what does the tide of AR integration mean for you? InnovatAR is ready to help you understand if AR solutions fit the needs of your business or organization. Please contact us if you have questions about implementing augmented reality into your plans for the coming year.